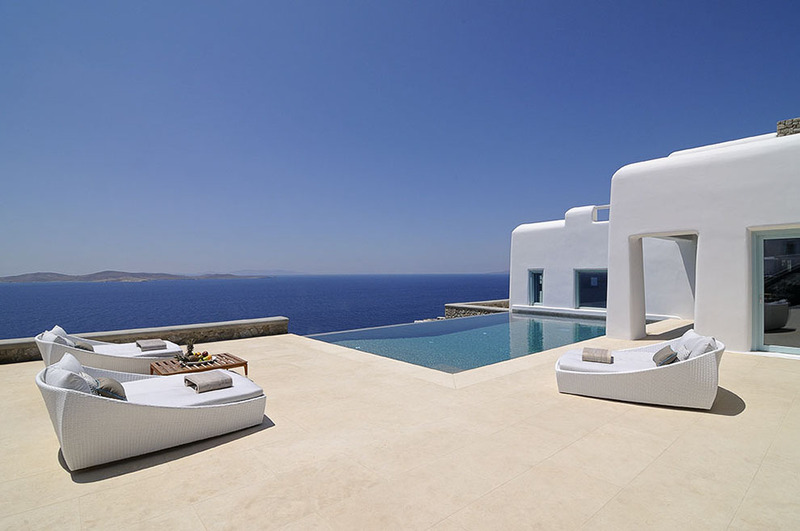 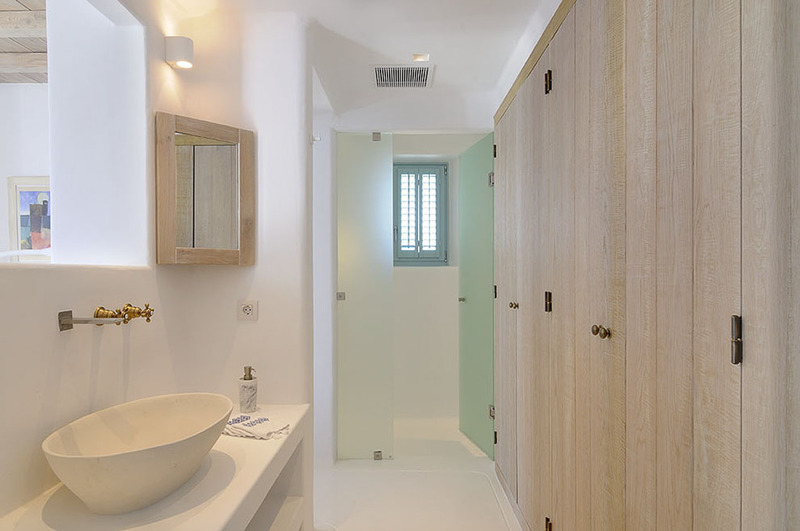 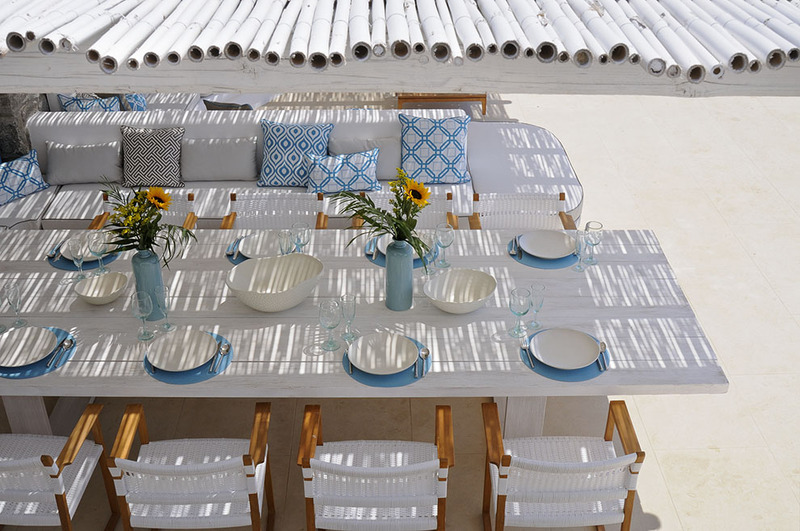 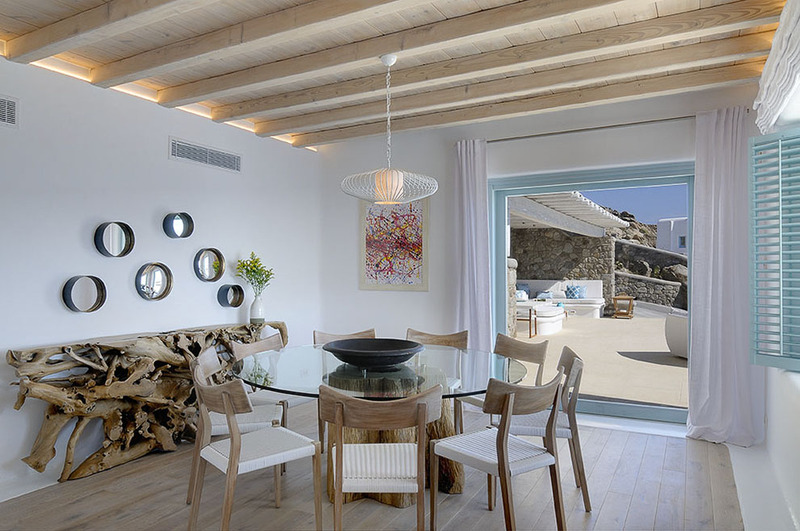 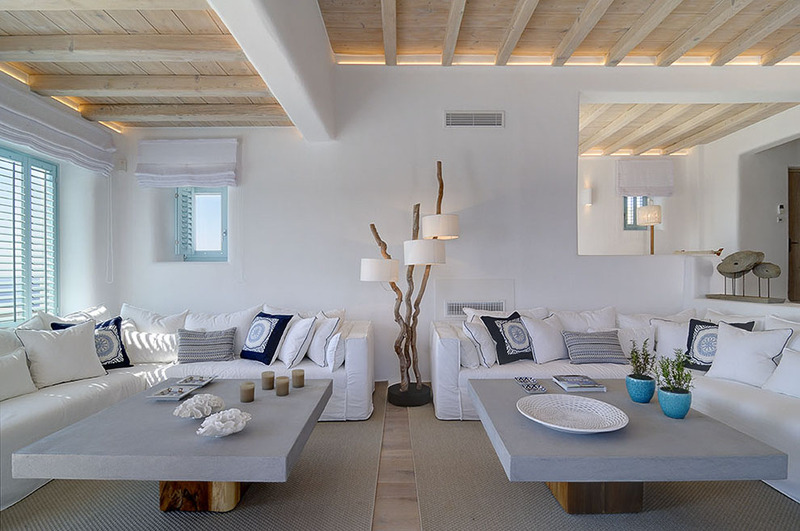 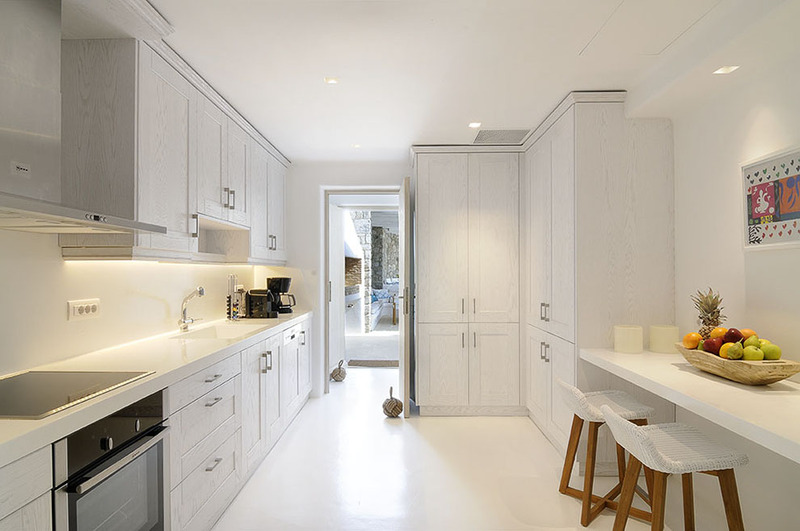 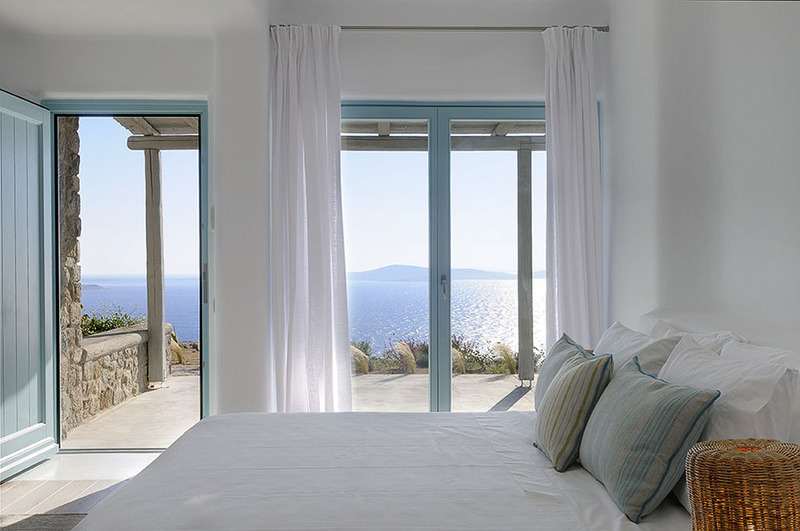 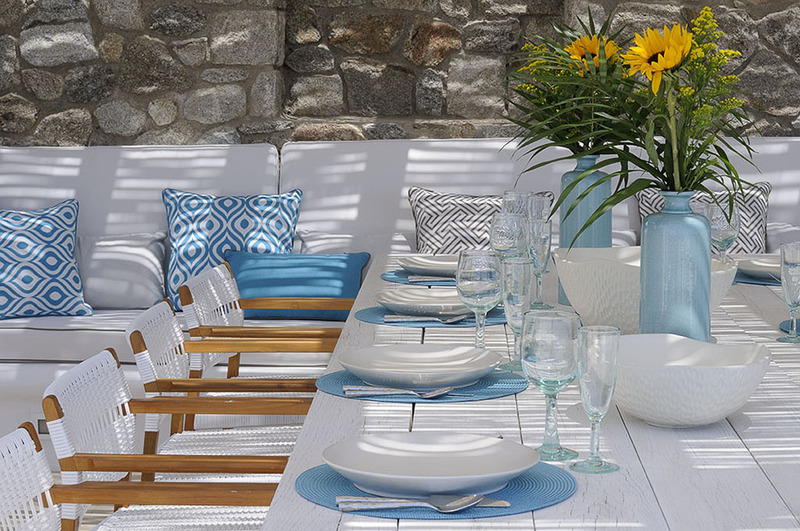 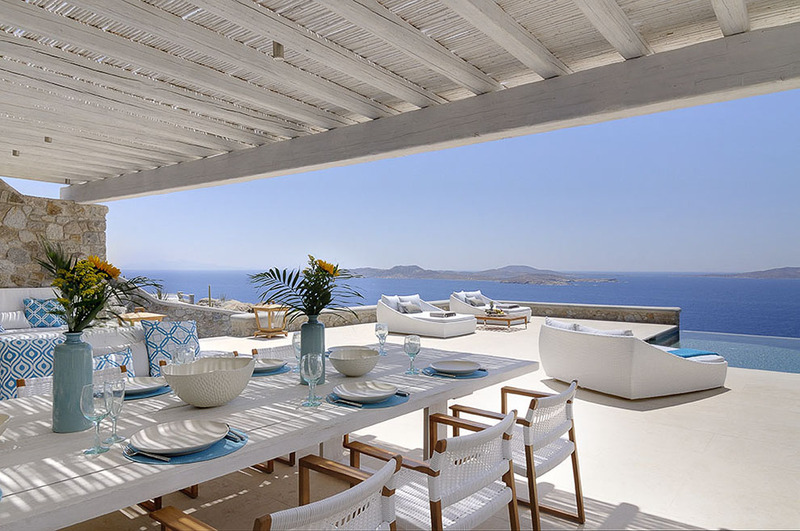 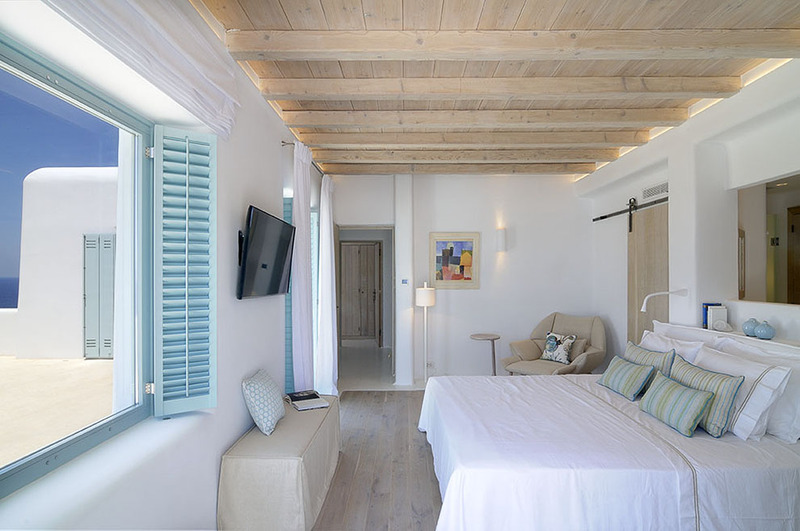 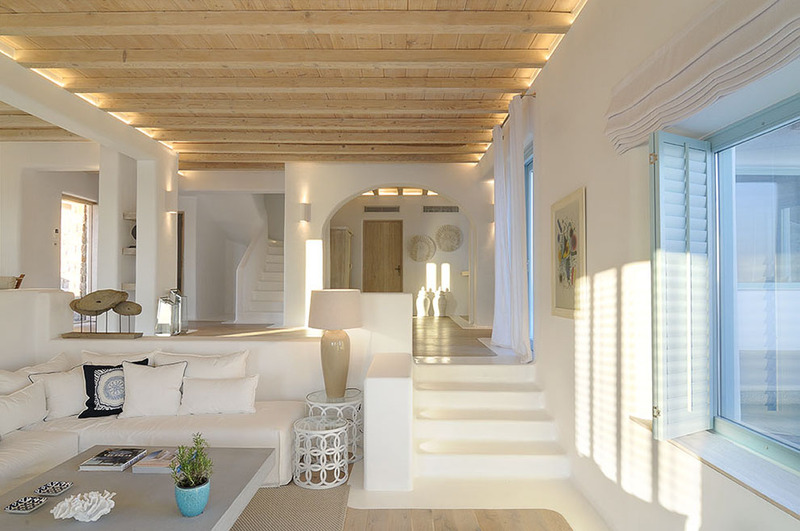 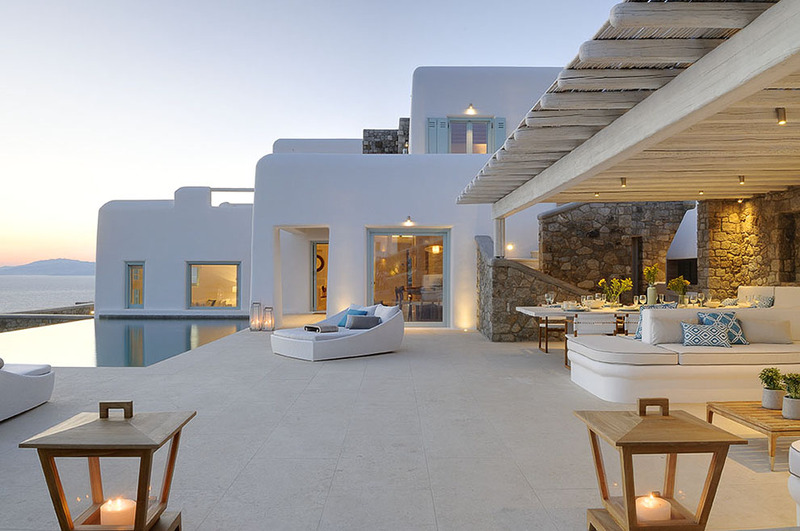 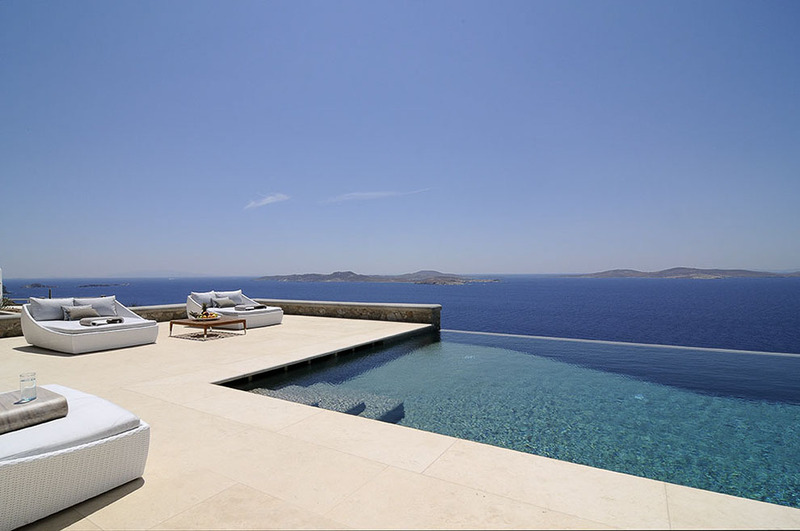 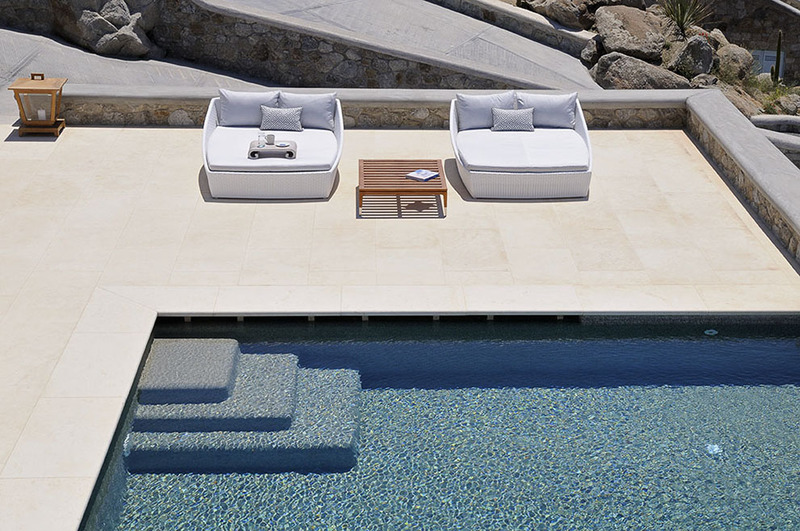 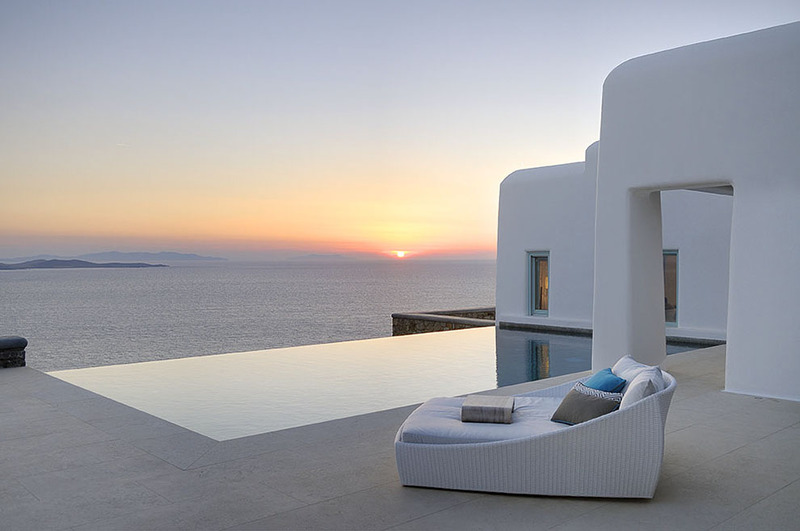 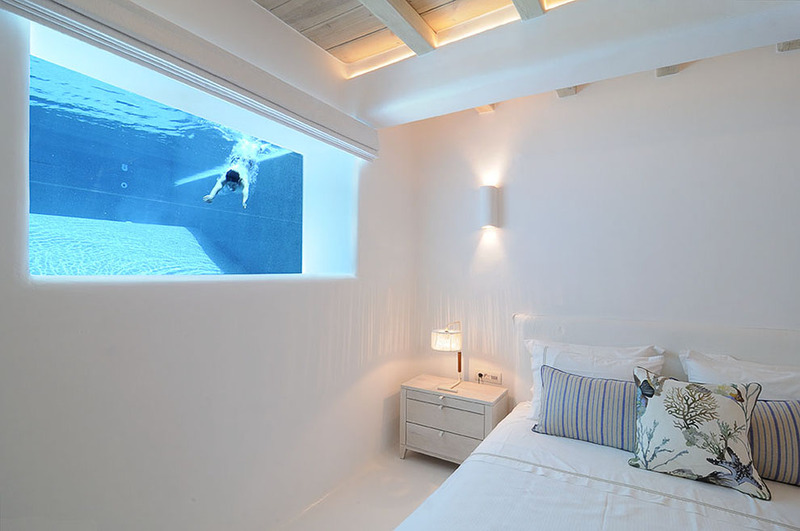 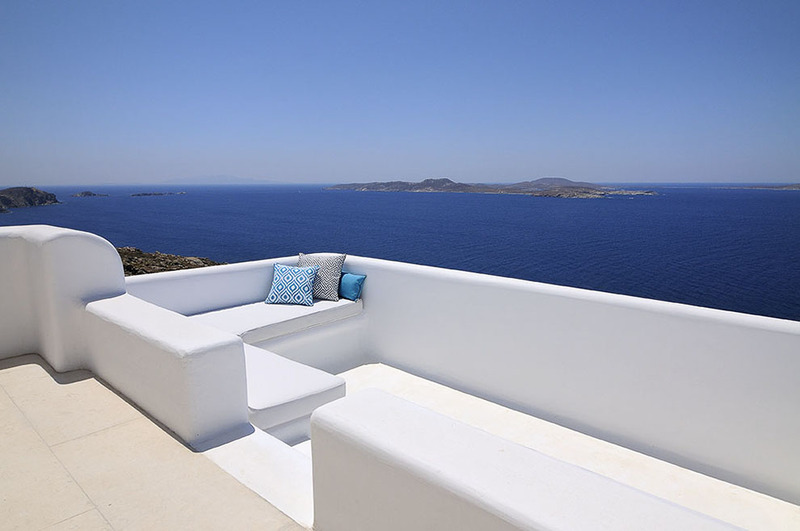 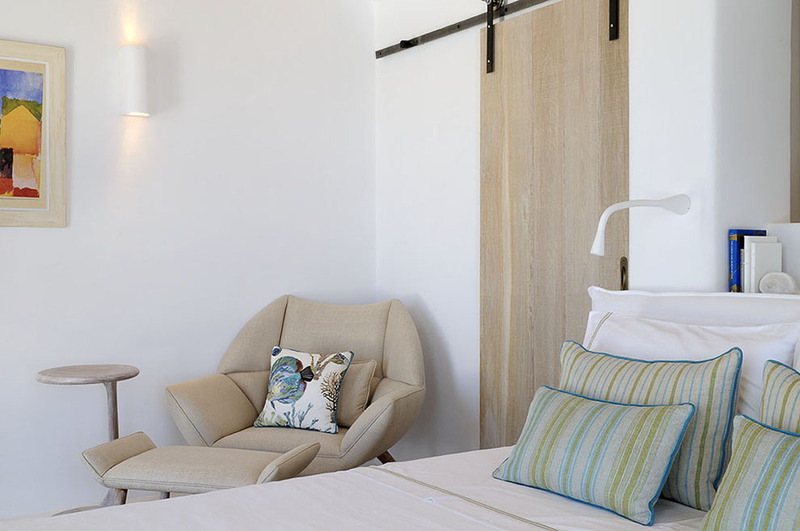 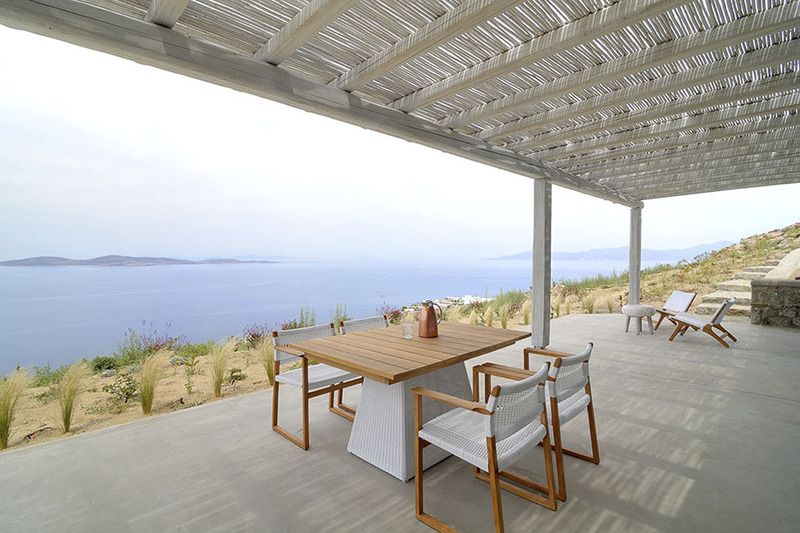 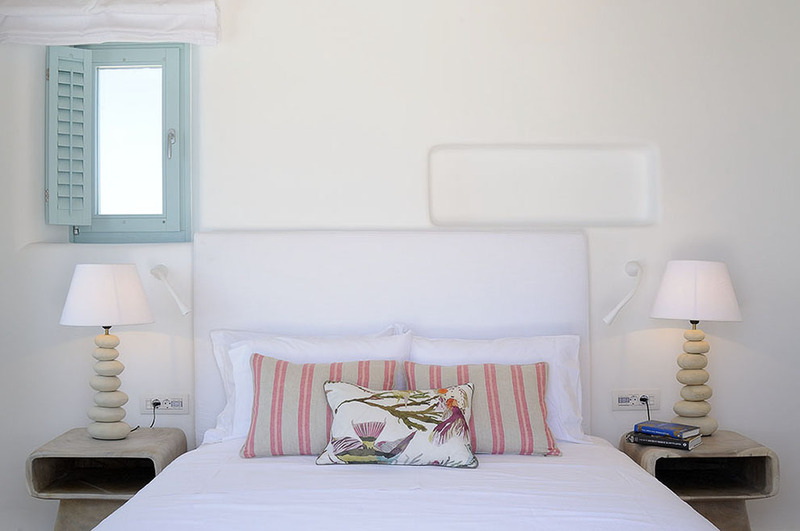 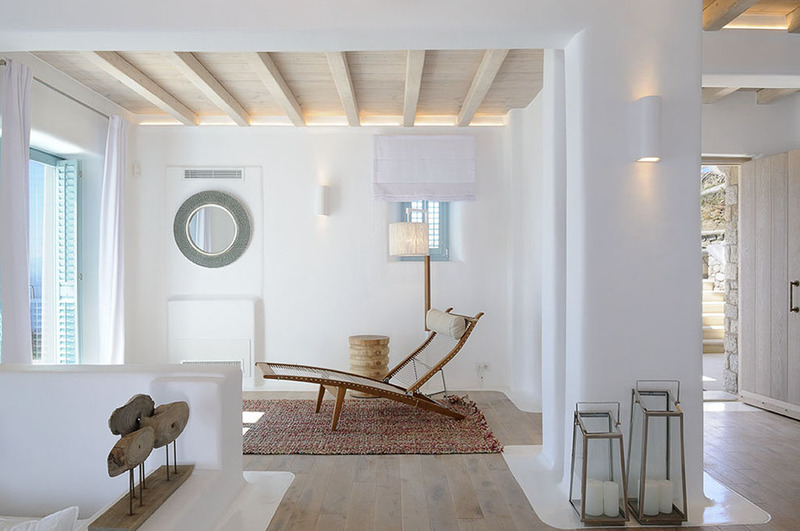 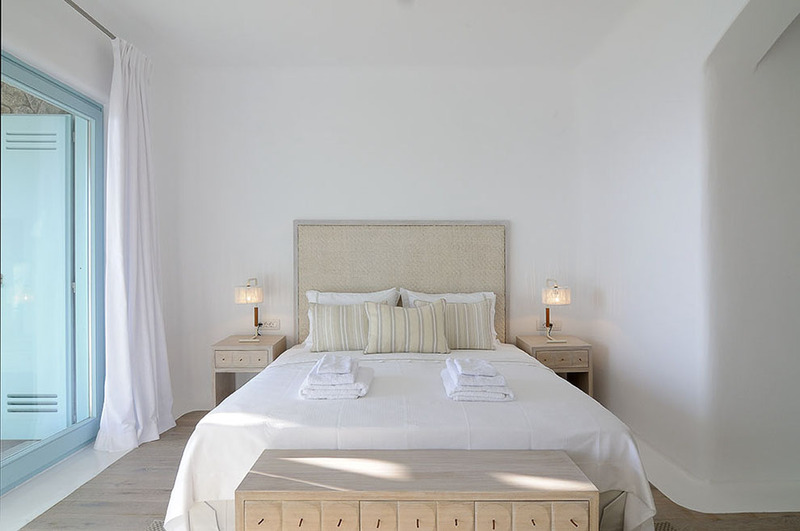 The unique villa “Aqua Marine“ is situated in the south-west side of Mykonos in one of the most privileged areas in the island, namely Pouli. 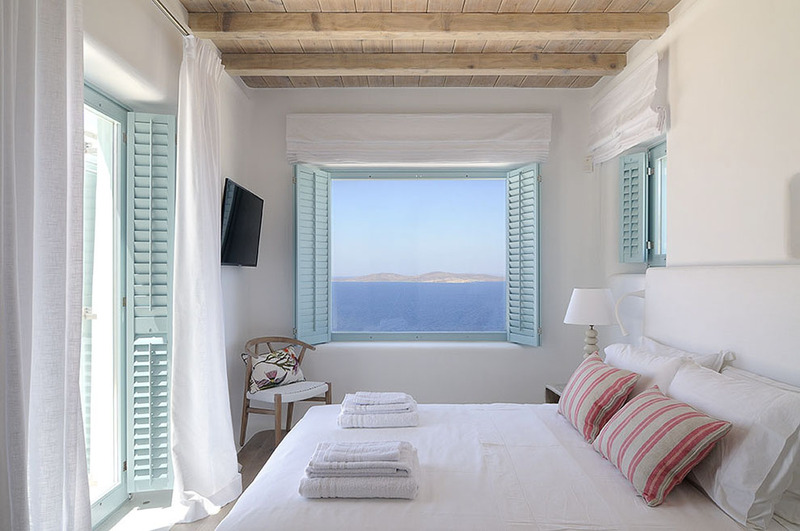 It enjoys spectacular view of the endless Aegean blue along with the ancient island of Delos and Rhenia and the magical colours of the sunset. 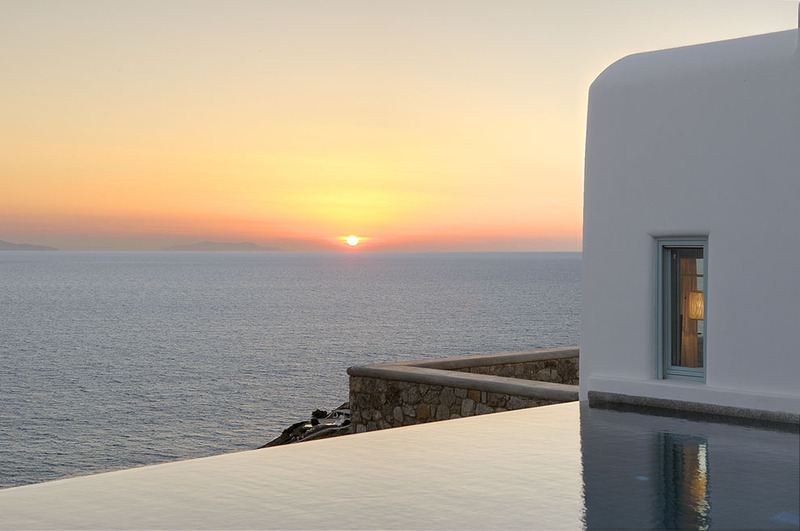 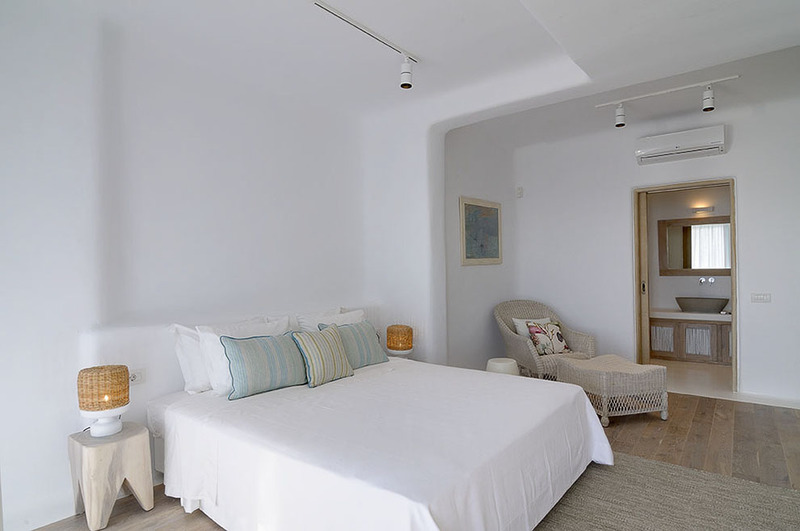 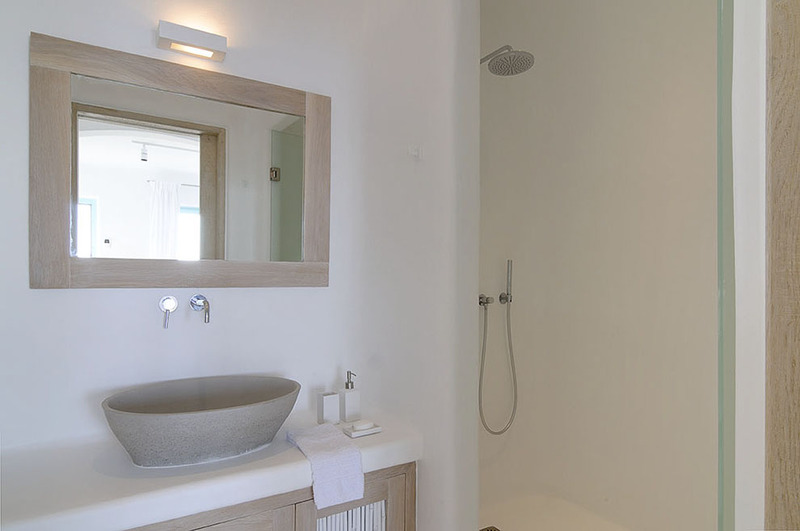 Villa “Aqua Marine “ boosts one of the best locations in the island, totally wind-protected, while it is in a very close proximity to gold-sandy beaches of St. John and Ornos. 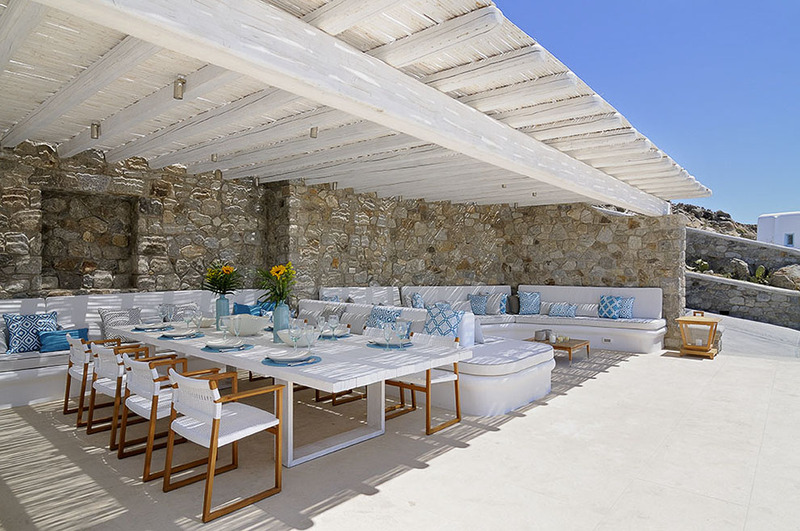 Villa “Aqua Marine “ is just a piece of art and in combination with its short walking distance from the famous Saint John and Ornos beaches and from cosmopolitan Mykonos town makes it an ideal choice, even for larger groups as it can be combined with the equal beauty villa “Turquoise“, which is located right next to it.